You can be sure that you and your kids are safe from toxic plastic containers. Go Green with this glass set. Top your dining table with this set which will catch every one eyes. These glasses take less space as these are stackable. Using this set you can be sure that these are from nature and back to nature as these are Biodegradable. Ideal option for gifting;return gift to children on birthdays or Ashthami and Navmi. Capacity- 250 ml each. These glasses are non-toxic;odorless;and safe. Grab yours one today! 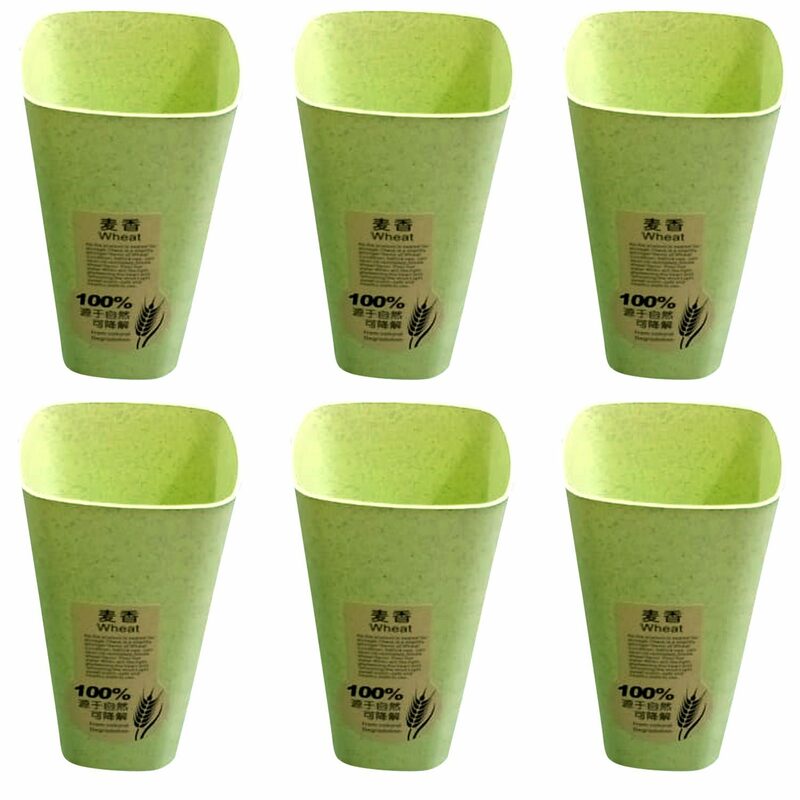 Manaswani International brings you Eco-Friendly Biodegradable Glass Set made of Wheat Fiber. You can be sure that you and your kids are safe from toxic plastic containers. Go Green with this glass set. Top your dining table with this set which will catch every one eyes. These glasses take less space as these are stackable. Using this set you can be sure that these are from nature and back to nature as these are Biodegradable. Ideal option for gifting;return gift to children on birthdays or Ashthami and Navmi. Capacity- 250 ml each. These glasses are non-toxic;odorless;and safe. Grab yours one today! Glass height- 12.5 cm and width- 7 cm.